Every single year, high profile recruits join the college ranks with obscenely high expectations. It isn't rare to see some of these prospects become busts, never truly adjusting to the collegiate game. Guys like Chris Galippo and Marc Tyler all the way back in 2007 (USC recruits), Ronald Powell in 2010 (Florida), along with plenty more never really found success in college. Quarterback recruits are particularly susceptible to struggling to live up to the hype. 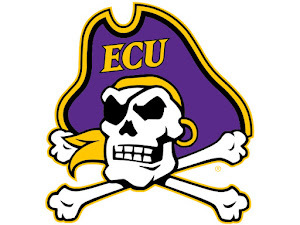 They face a tough transition from high school to the college ranks and are viewed as saviors to an individual program where thousands of fans, alumni and students depend on their arm. There were plenty of people to thought the same thing would happen to Josh Rosen this past season at UCLA. 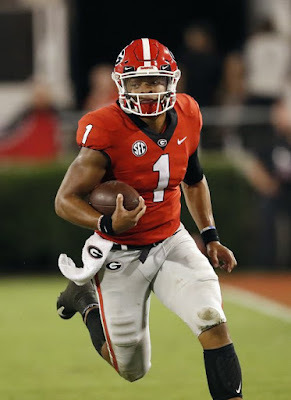 Instead, the young quarterback thrived and heads into his sophomore season on the brink of something few quarterbacks at the collegiate level achieve: super-stardom. 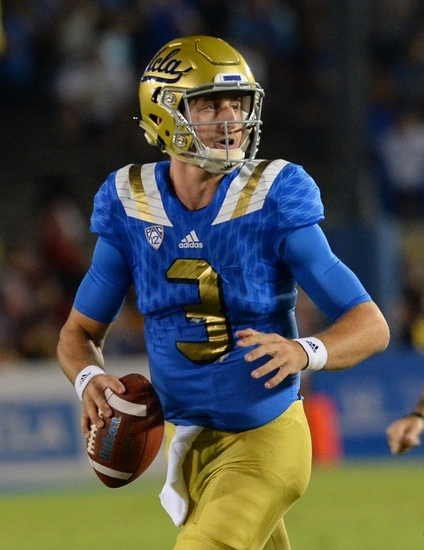 With a nickname like "Chosen Rosen" it is easy to see where the hype train came for Josh Rosen. Rosen attended St. John Bosco High School and was viewed by nearly every recruiting service as a five-star recruit and the top quarterback in the Class of 2015. UCLA scouts were awed by his strong arm and quick grasping of the offense after he enrolled early, while NFL scouts drooled at his 6'4" frame, before he had even stepped foot on a college football field. The departure of NFL QB and Heisman candidate Brett Hundley left a major void in UCLA's offense that Rosen appeared destined to fill. He first had to beat out former backup Jerry Neuheisel (the son of former head coach Rick), and once he did, he promptly dominated. His first collegiate game, against Virginia, Rosen squared up against an underrated and experienced Virginia secondary, headed by future NFL draftee Quin Blanding. All Rosen did was throw for three scores with no interceptions and 351 yards. He began his career at UCLA with four straight wins before the Bruins' tough schedule caught up with the young team. They finished off a rather disappointing 8-5, but Rosen was far from the problem, as the true freshman led the charge with 3,670 yards and 23 scores while nearly approaching 500 total pass attempts. That isn't too say that Rosen had no struggles adjusting to the collegiate level. Being a young quarterback, it wasn't surprising to see his 11 interceptions (3 of them coming against BYU), or his 60% completion percentage. The 18-year-old had to deal with learning a brand new playbook and a whole new system, without a ton of receiver help and facing a number of strong Pac-12 defenses. Those interceptions and a relatively low completion percentage give him plenty to work on this off-season. He should be overall much more comfortable in his second year at UCLA, and there appears to be more receiver help around him. Rosen continues to bulk up this spring and summer, as he has added about 15 pounds, aiming to make himself more durable and stronger over the course of a rough Pac-12 season. He also hopes that new offensive coordinator Kennedy Polamalu will continue to help him grow and evolve. Polamalu takes over for Noel Mazzone, who took his spread offensive scheme down south to Texas A&M. Although Mazzone is a great mind who has engineered great things in his coaching career, the move to Polamalu could really help Rosen. Mazzone relied heavily on the pass, as Rosen's near 40 attempts per game (on average) show. Rosen proved he could handle it and flourished with it, but throwing that many passes with stud back Paul Perkins in the backfield was sometimes questionable. Polamalu has a proven track record; he worked well with a number of future NFL prospects while being USC's offensive coordinator, and he has had a long career. He should design schemes that showcase Rosen's pinpoint accuracy and strong arm while also instilling balance in the offense. The worry for Rosen is that he may endure the infamous "sophomore slump" that has hit more than a few athletes after a huge debut. Will Pac-12 defenses figure him out? Will he not mesh well with a new offense? Will he just simply not be as good? All of those questions may face Rosen, but this young man is special. He plays in a control and disciplined manner and carries himself well on and off the field. He has the chance to grow significantly as the 2016 season slowly creeps towards us, and he will get a chance to show Mazzone what he is missing, as UCLA opens up against Texas A&M on September 3rd. While some may worry about that sophomore slump, Rosen is bound to exceed expectations, much like he did last season. The sophomore is ready to take his serious game from simply late West Coast viewers and prove to the entire nation what he can do.